If you grew up in the United States with internet access, a memory of Ask.fm can easily be conjured up. I made an account at the start of my freshman year of high school. I would share the link to it on Facebook, Instagram, or any other social media site in hopes of someone sending a question to me. Eventually, an anonymous messenger told me that I was “pretty cute” and I spent a whole night trying to convince them to tell me their identity. I later found out it was a football player in my health class. We dated for a month. 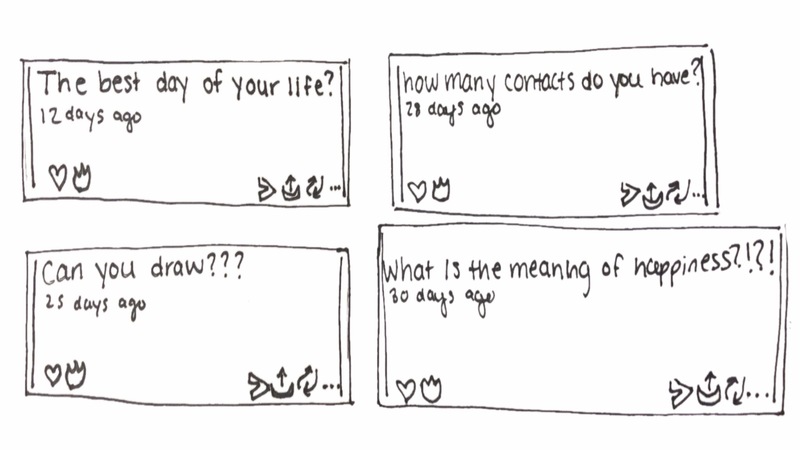 For me and many other people, Ask.fm was one of our first social media experiences. Ask.fm was a dip into the waters of what would ultimately consume and define our generation. What remains special about Ask.fm though is the anonymity of it. When a question appeared in your inbox, you felt it could be anyone on the other end. So, on a whim I made another Ask.fm at the age of 19 to see what would happen. I quickly made the account and sent out the link on every social media possible, waiting eagerly for questions. I felt myself regress back to a 14 year old, constantly checking my phone to see if a notification would pop up. I eventually turned the notifications off, but still found myself constantly refreshing the website in case I missed something. One of the first things I noticed logging back on after five years was the fact that Ask.fm looks really boring. It’s a simple idea for an app and website, but I had always remembered it as a glamorous and lucrative thing. Instead, it was bland. I don’t think younger Julia cared, though. It wasn’t the interface she was there for, it was the conversations and questions. Questions were different as well. When I first used Ask.fm people would ask questions that I would now view as weird or plain obscene. I remember a friend who deleted her account because she received countless messages asking her if she was still a virgin, and if she gave her former boyfriend blowjobs regularly. This time around, though, was filled with serious questions that shocked me. Someone asked “Do you believe people can be changed?” which rattled my mind for hours before I answered. I was less afraid to answer too. I found myself being honest and thoughtful with my responses, almost debating the answers in my mind. Something about the website made me want to. Was it because it slipped away from our minds? Maybe the fear of someone finding my account had made me nervous when I was younger about telling the truth, because I felt too exposed, similar to someone reading my childhood diaries. Or again, could it be because I didn’t know who was asking? I thought it would be interesting to find my first Ask.fm account after this experiment took place. Five years may not seem like a long time, but adolescence is a wild and transformative part of life. Sadly, I deactivated my account after freshman year. I find myself wondering about honesty and truth now. What did a younger me do that warranted deleting an account? Maybe if I had used Ask.fm like I did in college but in high school, things would be different. I don’t think the full answer lies with me, though, but instead with my peers and I as a whole. Why ask those questions? It is easy for teenagers to know what is right and wrong, but maybe Ask.fm became a gray area for the ugly parts of growing up, the vulnerability, sadness and conformity, to thrive. Perhaps if we had looked for truth instead of attention, for honesty instead of rumors, my account would still be there today.